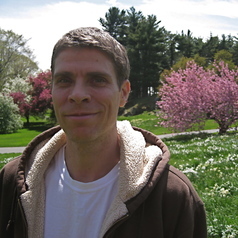 Jonathan Pieslak (b. 1974, Wilmington, DE) is an Associate Professor at The City College of New York and Graduate Center, CUNY where he specializes in music composition and scholarship on radical/extremist culture. He will be publishing his second book, Radicalism & Music: An Introduction to the Music Cultures of al-Qa'ida, Racist Skinheads, Christian-Affiliated Radicals, and Eco-Animal Right Militancy with Wesleyan University Press in November 2015. His research was supported by a Guggenheim Fellowship in 2011, and he is working on a team project exploring the mobilizing influence of media in the jihadi-Salafi movement, funded by a Minerva Grant from the Department of Defense. He is also the author of the 2009 nonfiction, Sound Targets: American Soldiers and Music in the Iraq War, which has been featured in a variety of national and international newspaper, radio, and television media, including: The New Yorker, BBC, NPR, Fox News, Il Manifesto (Italy), Globo (Brasil), Austrian Public Radio, among many others. He has been invited for lectures at Harvard University, Princeton University, Syracuse University, Davidson College, The Norwegian FFI (Ministry of Defense), Canadian Security Intelligence Service, and many others.